How To Clean Slate Floors in Broomfield, CO 80020. Call Cleancare of Boulder at 303-530-0646. Find us at cleancareboulder.com. Find more articles like this at Cleancare Articles. From lovetoknow.com. Slate is a natural stone with a fine texture that comes from small silt and clay particles bonded together under high heat and pressure. That bonding gives slate its smooth texture, and because the particles are so small it is difficult for liquids to penetrate the slate, making it stain resistant. This makes slate a fine choice for flooring, even in high traffic areas such as entryways and kitchens. Slate comes in many different colors and textures. The colors, which include black, red, green, gray, brown, and mottled shades, are formed due to the impurities of the stone, and the texture can also vary. Slate with a slight roughness is the most desirable for flooring, since the texture will make it less slippery. No matter how well you take care of your flooring, it will need regular cleaning. Cleaning slate floors is easy, however, and only takes a few simple steps. How Do I Clean My Slate Floor? 1. 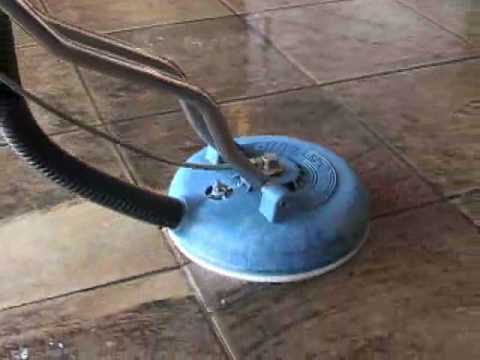 Sweep the floor first to loosen any debris, or vacuum the floor with a soft bristle attachment or vacuum designed for stone floors. 2. Dust mop the floor with a rag mop with cotton fibers. Sweep the mop in the same direction each time, moving slowly so no dust or dirt is scattered. 3. Combine two gallons of warm water with 1/4 cup of mild soap (dish detergent or a slate floor cleaner) if desired; if your floor is not very dirty, plain water will be fine. 4. Mop the floor slowly, wringing out the mop frequently to avoid spreading dirty water. 5. If the floor is sudsy or soapy, rinse it with a clean mop and clean water. 6. Allow the floor to air dry thoroughly before it is walked on. When you clean your slate floor, be sure to move any rugs or furniture so the entire floor will be cleaned. This will keep the floor's coloration and wear even. While slate flooring is naturally stain resistant, particularly if it has been sealed, it is always possible to stain the floor with certain foods, chemicals, or other products. In most cases, however, it is not the slate that will stain, but the grout between individual tiles. How you clean that grout depends on whether it is colored or non-colored. If your grout is not colored, treat the stained area with a 50-50 solution of water and hydrogen peroxide, letting the solution sit on the stain for 15 minutes before wiping it up. If the stain persists, repeat the treatment or consider using a specialized grout cleaner. After cleaning grout, be sure to reseal the area of the floor that was cleaned to protect it against future spills or stains. If you don't care to clean your floors yourself or they are just so dirty that you'd rather look to a professional, try Cleancare of Boulder's powerful floor cleaning with steam. · Never use acidic cleaners such as vinegar, which can damage and discolor the stone. · Avoid scrub brushes with stiff or metal bristles that may scratch the flooring. · Use clean tools (mop, sponges, etc.) when cleaning the floor to avoid spreading extra dirt around. · Sweep or dust mop your floor regularly as part of a house cleaning chore list to prevent buildup of debris or dirt that may cause stains. Try Our Floor Cleaning with a FREE Demo! Just Fill Out Form!